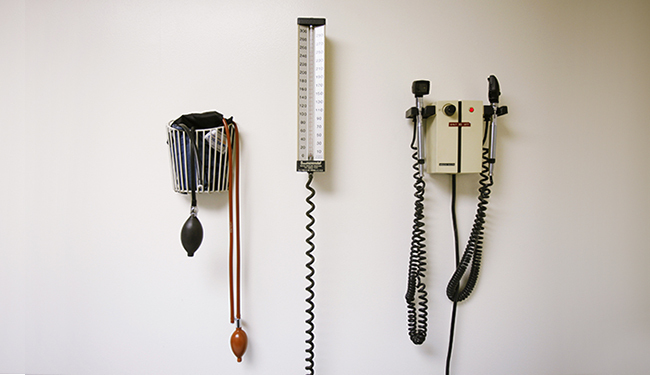 When physicians were offered financial incentives, more patients reached health goals. Problem: People get sick and doctors want to make them better. But the real world creeps in, as it does, and a shortage of physicians, burnout, and a slew of other issues such as doctors being humans and therefore imperfect mean that patients don’t always get the best possible care. A new study by the University of California San Francisco and the New York City Department of Health and Mental Hygiene, published in the Journal of the American Medical Association, looks at whether patient care can be improved by paying doctors for good results. Methodology: The researchers organized a random trial of small health care clinics in New York City (those with 10 clinicians or fewer). The clinics all had electronic health records, at least 200 patients who could be measured for the study, and 10 percent or more patients without insurance or on Medicaid. Some clinics received financial incentives at the end of the study for reaching certain goals and some did not. Doctors weren’t penalized for not meeting these goals, though. To encourage doctors to spend more time with patients who had co-morbidities—diabetes and heart disease, for example—and uninsured and Medicaid patients, they were paid more for success with these kind of patients. Physicians got rewards for things like controlling blood pressure, or getting a patient to stop smoking. Results: Patients got healthier, doctors got wealthier. In the group with financial incentives, the change in performance was statistically significantly higher than in the control group. The group getting paid for performance saw success improve between twofold and eightfold, depending on the care goal. Implications: According to the study, 82 percent of physicians in the U.S. practice in small clinics like these, and face pressure to use electronic health records and improve patient care. This study shows that paying doctors for successes—and not penalizing them for patients that don’t do as well—leads to patients meeting more of their health goals. The improvements were “modest,” the study notes, but real. The study, Effect of Pay-for-Performance Incentives on Quality of Care in Small Practices With Electronic Health Records, appeared in the Journal of the American Medical Association.